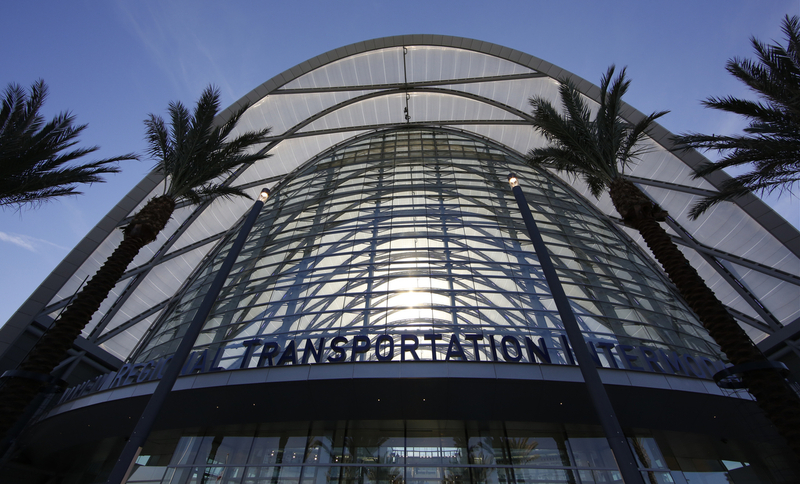 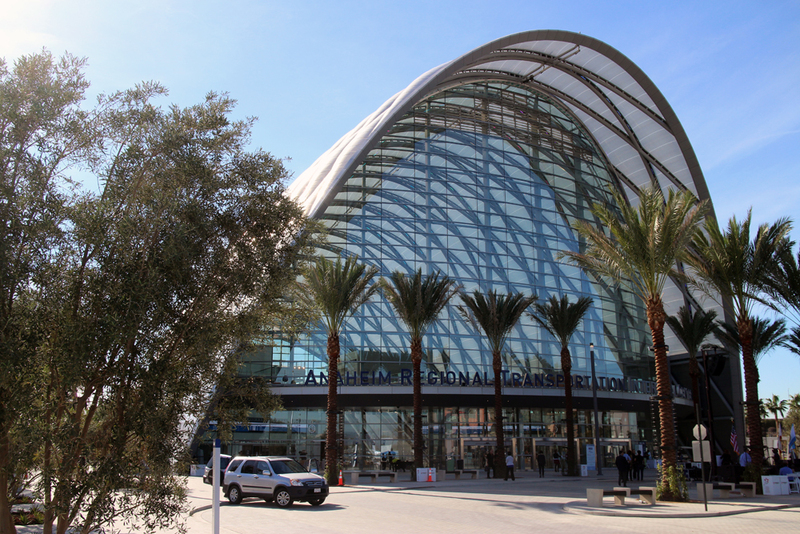 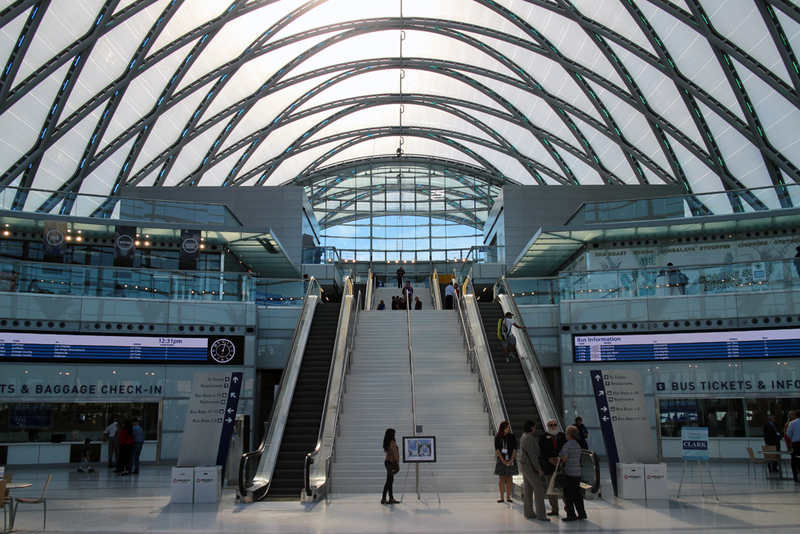 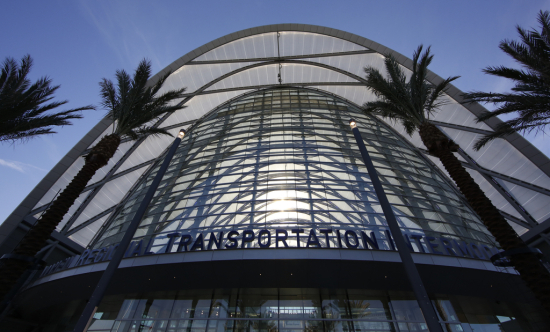 On Monday, the city of Anaheim cut the ribbon on one of the most important transit stations in California history: ARTIC, the Anaheim Regional Transportation Intermodal Center. 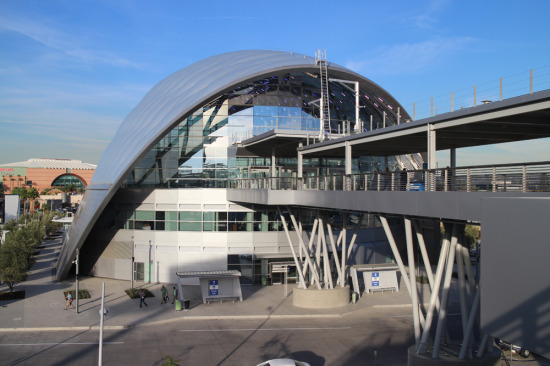 The multi-modal building, designed by HOK with engineering by Thornton Tomasetti and Buro Happold, contains facilities for regional rail, bus, automobile, and even bicycles, not to mention shops and restaurants. And if all goes according to plan, it will eventually be the southern terminus for the state’s High Speed Rail system. 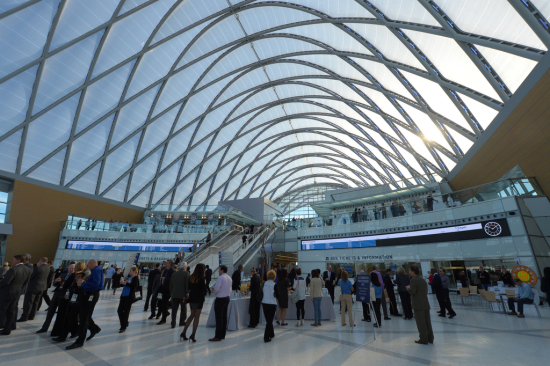 The wide-open, multi-level structure, which looks out at Anaheim’s Honda Center and the surrounding mountains, is topped with a glowing, diamond-gridded ETFE roof and fronted by two of the largest self-supporting curtain walls in the world. 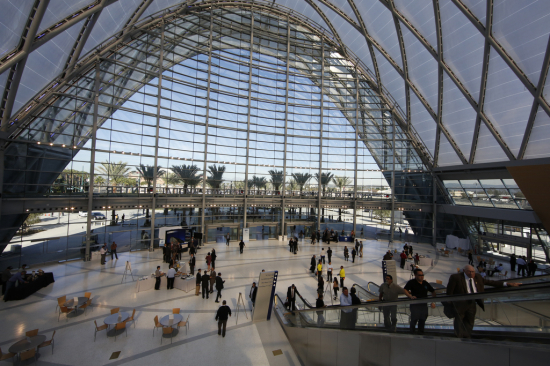 Check back for a full critique of the LEED Platinum project in AN‘s next West issue. But for now enjoy some early shots from the opening day. We’re impressed that it still looks a lot like the renderings.